WASHINGTON, DC, April 14, 2010 (ENS) – The U.S. Environmental Protection Agency and the Department of Energy today jointly announced changes to the Energy Star® product certification process to ensure that only products actually meeting the Energy Star requirements can receive an Energy Star label. Effective immediately, manufacturers wishing to qualify their products as Energy Star must submit complete lab reports and results for review and approval by EPA prior to labeling. For years, Consumer Reports has been criticizing the program because it is self-certifying. The program allowed product manufacturers to do the energy-efficiency tests and report them to the government, where they were just rubber stamped. It was possible for fraudulent test results to get through the system. The Government Accountability Office recently conducted an investigation using four bogus manufacturing firms and fictitious individuals to apply for Energy Star partnership and submitted 20 fictitious products with fake energy-savings claims for Energy Star certification. Two of the bogus products were rejected by the program and 3 did not receive a response. In addition, two of the bogus Energy Star firms developed by GAO received requests from real companies to purchase products because the bogus firms were listed as Energy Star partners. GAO’s investigation shows that “Energy Star is for the most part a self-certification program vulnerable to fraud and abuse,” the investigative branch of Congress reported in March. 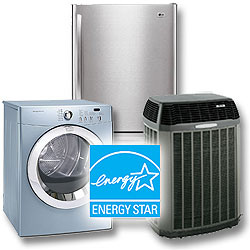 The Energy Star program, which began in 1992, is promoted through tax credits and appliance rebates, and federal agencies are required to purchase certain Energy Star certified products. Companies use the Energy Star certification to market their products and consumers buy products relying on the certification by the government of reduced energy consumption and costs. For example, in 2008 Energy Star reported saving consumers $19 billion dollars on utility costs. But the GAO investigation found that Energy Star did not verify energy-savings data reported by manufacturers. As a result, following a review of the Energy Star qualification approval process, McCarthy said today that the EPA has strengthened its approval systems and is no longer relying on an automated approval process. All new qualification applications will be reviewed and approved individually by EPA personnel. EPA will begin accepting new applications by the end of the week, McCarthy said. Companies applying to be Energy Star partners will not be able to access the Energy Star certification mark until EPA has approved a specific Energy Star-qualified product submitted by the company. “Consumers trust the Energy Star brand to save them money and reduce carbon pollution,” said Cathy Zoi, DOE assistant secretary for energy efficiency and renewable energy. “The steps we are taking to strengthen the program will ensure that Energy Star continues to be the hallmark for energy efficiency in the years to come,” she said. The two federal agencies are further strengthening the certification process with a requirement effective at the end of the year that all manufacturers must submit test results from an approved, accredited lab for any product seeking the Energy Star label. Testing in an accredited lab is currently required for certain product categories, including windows, doors, skylights and compact fluorescent lighting. The new process will extend the requirement to each of the more than 60 eligible product categories under the Energy Star program. These efforts are in addition to enforcement and testing procedures already in place to ensure compliance with Energy Star specifications. The Department of Energy is conducting off-the-shelf product testing for some of the most common household appliances and a recent Inspector General audit found that 98 percent of products tested fully complied with Energy Star requirements. McCarthy and Zoi said today that the EPA and DOE are committed to continually strengthening and improving the Energy Star program, which provides information to consumers to help identify the most energy efficient products on the market that will save them money and reduce carbon pollution.